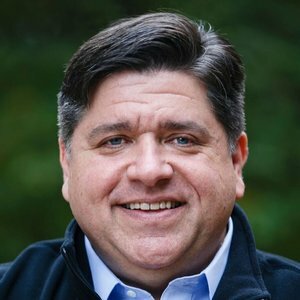 In his first month in office in 2015, Governor Bruce Rauner issued an executive order creating the bi-partisan Illinois State Commission on Criminal Justice and Sentencing Reform, which is composed of leaders from law enforcement, public service, academia, and the General Assembly. The executive order directed the Commission “to develop comprehensive, evidence-based strategies to more effectively improve public safety outcomes and reduce Illinois’ prison population by 25% by 2025.” The Commission met for two years and delivered over 20 actionable recommendations. While some progress has been made in implementing them, many have not been turned into law or enacted administratively. I support the goal of the Commission and plan to build upon the Commission’s recommendations. It is time to envision a criminal justice system that delivers justice to victims, rehabilitates individuals, and builds safer communities. That’s not where we are right now. Decades of systemic racism, underfunded public schools, and excessive sentences have led to mass incarceration across Illinois. Our prisons are operating at 134 percent capacity and there are nearly 43,000 individuals behind bars – but this is about more than statistics and numbers. This is about systemic disinvestment in communities and families, African American men being incarcerated at staggering rates, and a broken system in desperate need of reform. We must start with Illinois’ sentencing laws. We need sentencing guidelines that not only match the offense, but also work to deter crime and build safer communities. We also need to reform the bail system and partner with communities across the state to bolster successful diversion programs and robust data collection. As governor, I will work to reverse the foundational causes of mass incarceration. Under Bruce Rauner, we’ve seen steady disinvestment in our communities, human services decimated, and economic opportunity for our middle class and those striving to get into the middle class disappear. Yet, Illinois will spend over $1.4 billion in FY17 incarcerating its citizens. We need to modernize our approach to sentencing to focus on public safety and smart sentencing. The savings obtained from modernizing the sentencing system should be invested directly back to our communities to fund programs that reduce incarceration in the first place and expand opportunity for all Illinois communities. Legalize marijuana, lower the penalties for certain drug offenses, and adjust the punishments for other non-violent offenses. Reform excessive sentencing, reduce the use of mandatory-minimums, and allow judges greater discretion to use probation for certain offenses. Abolish the monetary bail system and replace it with a validated risk assessment tool that is fair to all of our communities. Stop the unjust application of fees and fines that burden those who can’t afford to pay and can lead to further incarceration. Strengthen local diversion programs and promote collaboration to share best practices and replicate what’s working. Partner with local officials to collect and analyze data, provide support to evaluate local initiatives, and share best practices across the state.